Compatible HP Toner Cartridge, Black, High Capacity 12,500 page yield. Replaces HP part number: CE255X, 55X. 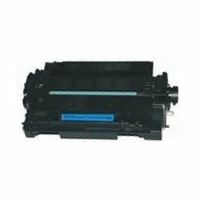 Laser Toner Cartridge compatible with HP LaserJet MFP M521, MFP M525c, MFP M525dn, P3010, P3011, P3015, P3016.